OMG ... it's 5:52 AM and I wanna cry. All day yesterday, I was begging that Tinchy Stryder featuring Taio Cruz, 'Second Chance' get an official video. Not the bootleg Youtube pop ups. Even up till 11PM last night, I was still begging. 'Second Chance' has been bangin' in my car. I often make 20 song CDs for my car. To make it to that top 20 list means the music has gotten my attention, especially since I listen to so much music but to have me play it over and over again, it's means it has struck a chord! 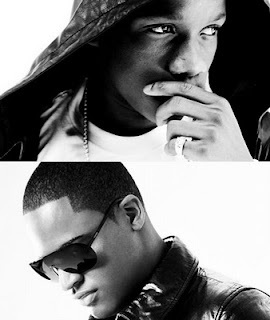 The single will be lifted off Tinchy's forthcoming album “Third Strike” and features regular collaborator Taio Cruz. English singer, songwriter and music producer, "Taio is laying down some tight tracks," a FB friend said. I posted the Taio Cruz featuring Ke$ha, 'Dirty Picture' video on my FB page, only to have that very friend say, "Too bad summer is done, seems too hot for winter. It's gonna be a hot winter then!" ... And I can't help but agree!